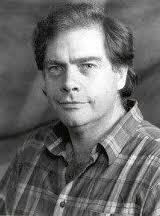 The lyric tenor Anthony Rolfe Johnson, well known for his work in the operas of Mozart and Benjamin Britten, has died. He was 69. A native of Oxfordshire, Mr. Rolfe Johnson made the transition from the world of farming to the operatic stage. He joined a choir when he was in his 20s. A fellow choir member sent him to consult with a London-based voice coach. Much to his astonishment, Mr. Rolfe Johnson learned that he had a world-class voice. He set the plow down, and enrolled in singing lessons. Mr. Rolfe Johnson rose to prominence as part of the "period performance" movement in the 1980s. He recorded several major Mozart operas with John Eliot Gardiner conducting, including La Clemenza di Tito, a role which he also sung at the Metropolitan Opera. He enjoyed a long association with Mr. Gardiner, recording the part of the Evangelist in Bach's St. Matthew Passion and St. John's Passion. In later years, he expanded his repertory to include modern, dramatic works like Benjamin Britten's Peter Grimes and Aschenbach in Death in Venice, another role he performed at the Met. In recent years, Mr. Rolfe Johnson had suffered from Alzheimer's disease. So this morning I was tooling around the Universal Classics websites (that's Decca and Deutsche Grammophon, mostly.) I found a new web applet for Mahler lovers. The company has opened its vault and created Mahler: The People's Edition, making it possible for listeners to select, stream, and download their favorite recordings of the symphonies. Registered users can then post on the site their Dream Mahler list of the "ultimate" recordings of Mahler symphonies. It's a good idea, which can be later applied to Beethoven, Bruckner, etc. and might serve to open some of the buried riches of the catalogue to the casual (or expert) listener). Unfortunately, Das Klagende Lied and Das Lied von der Erde have been left out of the "Dream." Anyway, here's my list. Please keep in mind that this only includes recordings that are available from Universal Music Group. It should really include something by Simon Rattle or Klaus Tennstedt, the new Bernard Haitink Mahler recordings with the Chicago Symphony Orchestra, the first round of Bernstein/New York Philharmonic recordings or anything conducted by Michael Tilson Thomas . C'est la vie. Of course if all this is too much, you can just check out the new Mahler: Complete Edition boxed set, which compiles a "best of" from the DG and Decca catalogue and represents some of the finest available recordings. Some of them are even on my list! Director Shakeup Rocks Met's "Boris"
Rene Pape as Boris Godunov. Director Peter Stein has withdrawn from the Metropolitan Opera's new production of Boris Godunov, according to a report in today's Wall Street Journal. The announcement comes just ten weeks before Boris is scheduled to open on Oct. 11. Technical rehearsals are scheduled to begin in late August, the Journal reported. Mr. Stein will be replaced by Stephen Wadsworth, an acclaimed American director. Mr. Wadsworth is an experienced artist who is currently head of the Met's Lindemann Young Artists Development Program. In recent seasons, he has directed the company's acclaimed production of Gluck's Iphegénie en Tauride, which is due for a revival next spring. The production stars German bass Rene Pape in the title role. Valery Gergiev conducts. According to the Wall Street Journal Online, Mr. Wadsworth will use the same sets and costumes as envisioned by Mr. Stein. 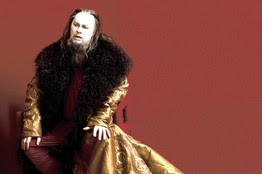 With its muscular, naturalistic music by Modest Mussorgsky and grand choral scenes, Boris Godunov is one of the most popular Russian operas in the repertory. The libretto is based on a play by Alexander Pushkin. Pushkin's drama accuses Boris, a real historical figure, of murdering Dmitri, the tsarevitch, or heir to the throne. When a "false Dmitri" leads a revolutionary march on Moscow, Boris goes mad and dies. Behind many a great composer there stood a great woman. 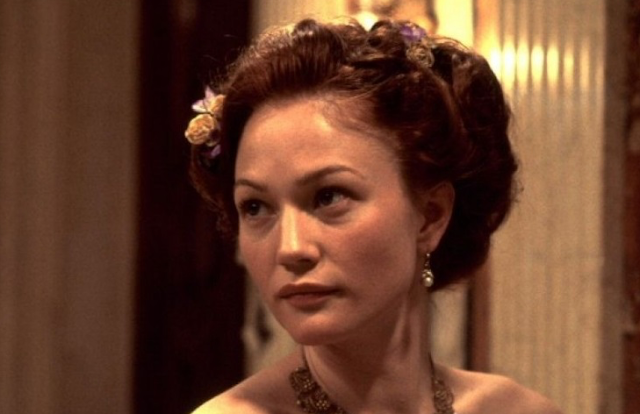 Sarah Winter as Alma Mahler-Gropius-Werfel in Bride of the Wind. Photo © 2001 Paramount Pictures. This fascinating, overlooked 2001 film by Australian director Bruce Beresford (Driving Miss Daisy ) focuses on the life of Alma Mahler Gropius, wife and widow of the famous composer Gustav Mahler. Sarah Wynter (The Sixth Day) an Australian actress, plays the lead role. In her hands, Alma is pure fire and ice, a Viennese answer to Princess Turandot without the body count. DVD Review: The Battle "Barber"
The Metropolitan Opera has finally issued the 1989 video of Il Barbiere di Siviglia, starring Kathleen Battle in the role of Rosina. Despite the old-fashioned decision to cast a coloratura soprano in a role written for a mezzo, this is a successful performance of Rossini's most famous opera. Ms. Battle is in fine, agile voice here, racing up and down the scales of Rossini's arias, hamming it up with trilled R's and other comic touches, and hitting a stellar high E flat in "Una voce poco fa." She presents a charming, vixenish presence as Rosina, the kept ward of Dr. Bartolo longing to escape from his house and marry the Count Almaviva. The title character, Figaro (Leo Nucci) plays matchmaker. Ms. Battle is ably supported by a strong cast. Rockwell Blake is a gorgeous, soaring Amvaviva, ideally suited to the roles high timbre. He even throws in a beautiful "Cessa di più resistere" at the end to good effect. This was the first time that this aria (a standard cut) was performed at the Met. Ever. Leo Nucci is a fatherly, energetic Figaro, putting all those years of experience in the role of Rigoletto to good use. He also gets to do prop comedy during "Largo al factotum" and "All'idea di quel metallo", pulling Almaviva's necessary military documents out of his well-stocked vest. A few words must be said for the basses. Enzo Dara is one of the finest to ever speed through Dr. Bartolo's patter aria. 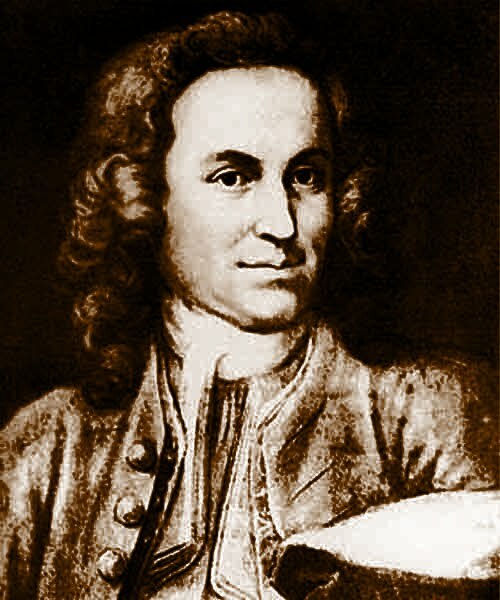 He is pretty much responsible for the renewed interest in "A un dottor della' mia sorte", an aria that was long considered too difficult to perform. Here, it is the comic highlight of the entire opera. Not to be outdone, Ferruccio Furlanetto is a coarse, funny Don Basilio, working himself up to appropriate apoplexy in "La calunnia." This performance is notable for preserving this production of the opera, which ran at the Met for many years and proved perennially popular with audiences. The action is set in front of a big model of Dr. Bartolo's house, using the Met's turntable stage to present the action. Ralf Wiekert conducts a fizzy reading of the score, that stays true to the critical edition of Rossini's work that has been in general use since the late 1960s. Leo Nucci as Figaro, singing "Largo al Factotum"
So I'm riding on the R train today and I fire up my "classical" iPod. (Yes, dear reader, I carry two!) I put on a disc Simon Preston playing Bach's organ works. This excellent set of recordings was my "first" Bach set. A few years later, I traded the original six-disc box for a different set--the Peter Hurford recordings on Decca. Recently, the Preston set was reissued (for the second time!) as a "complete" 14-disc box. I have found it thoroughly enjoyable. Anyway, I'm listening to the most familiar of all Bach compositions, the Toccata and Fugue in D Minor. Yes. The Vincent Price music. The one that (in orchestral transcription) opens the movie Fantasia . Mr. Preston's performance caused me to open my ears and hear the work as if it was for the first time. It is quite a wonderful thing about music that a compelling performance of a familiar piece causes even the most jaded listener to hear it with a fresh perspective. 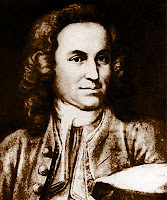 In this case, I heard the voice-like qualities of the upper-lines of Bach's fugue, and was struck by how the figured bass resembled the accompaniment heard in baroque arias. The sense of joy and robust folk-rhythms hidden in the polyphonic textures came bursting to the fore. The effect of this performance was like the stripping away of layers of preservative linseed oils from the Dutch masters, in order to show the jumping, vibrant colors underneath. As the disc continued, more treasures were revealed. (Yes, I'm listening on an iPod but the tracks are still organized by the original discs they are uploaded from.) Much to my fascination, I heard (in the next track on the disc) the passage that inspired Beethoven to compose the opening of his mighty Ninth Symphony. The echoing organ figures and call-and-response were borrowed outright for the Ninth, altered slightly and became part of musical history. I guess I'm listening to Beethoven's Ninth next. Who knows what I'll hear? Five Opera Resources You Need. Want to learn about opera? Read this blog daily. 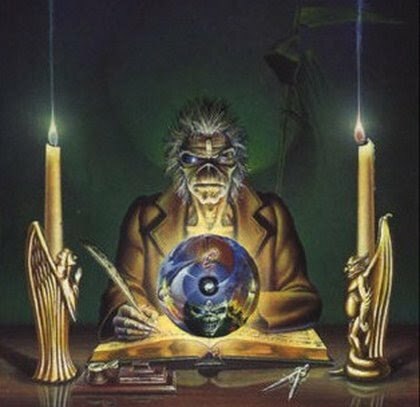 But in between posts, here's a quick guide to great, beginner books on the subject, as well as the two essential encyclopedias if you really want to learn about the genre. Iron Maiden mascot Eddie reads up on opera. 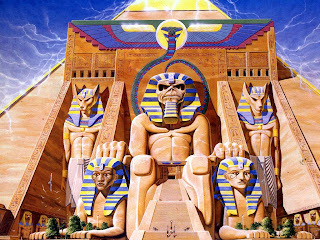 Art by Derek Riggs © Iron Maiden. This is a good starting point and a sentimental favorite: it was my textbook when I started studying music in college. It presents opera in a historical context from its earliest days up until modern music at the time of its publication in 1985. Mr. Knapp is a detailed guide, explaining fine plot points and the developmental flow from Rossini to Verdi, to Puccini, Strauss and beyond. These three excellent books by the redoubtable William Berger deal with single composers, but also assist the reader in learning the highlights of various works and how to better understand opera. The Wagner book goes blow-by-blow through the ten major operas and offers fascinating commentary on the man himself. The Verdi volume covers the good, the bad and the ridiculous in the vast Verdi canon. The Puccini volume is not just about opera, but it emphasizes critical thinking about the staying power of his music. Mr. Ross' focus is on music in general, particularly the 20th century. He opens with Strauss, Mahler and the premiere of Salome and proceeds to pull the reader along on a dizzying journey through a very dark century. Mr. Ross does not pull his punches when it comes to the Soviets and the Nazis and their chilling effect on the development of music, but he does see light at the end of the tunnel in the works of John Adams, Philip Glass and other modern masters. Taken from the vast volumes of the New Grove Encyclopedia of Music and Musicians, this single hardback book offers analysis of all the major (and some of the minor) operas in alphabetical order from Aida to Die Zauberflöte. It also has cool black and white illustrations and color plates of scenes from some of the operas. Blow-by-blow explanations of music and plot are accompanied by interesting historical notes about the works. And it's cheaper and easier to carry around than the whole encyclopedia. Another excellent resource. One volume, this heavyweight hardback is even more comprehensive than the New Grove. It is organized by composer, and includes the major and minor works of almost everybody who has written for opera and/or musical theater in the last five centuries. The Viking Guide also includes recording recommendations and musical analysis. Although the size and weight of the book make it a little difficult to read the articles on Auber, Zemlinsky and Zimmermann. 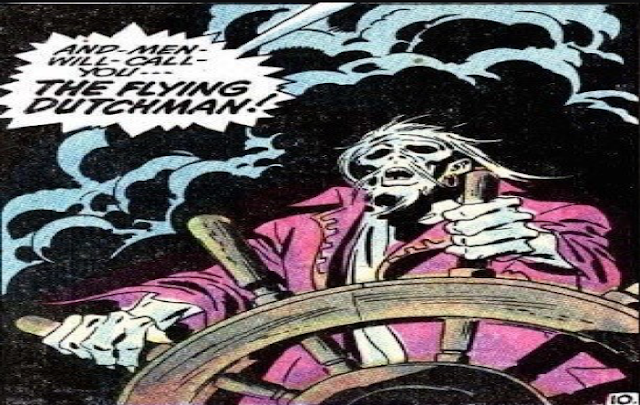 Brahms wrote four symphonies , but Black Sabbath wrote Volume 4 . Most orchestrations don't use double kick-drum blast beats. Headbanging is discouraged at Carnegie Hall. "Eddie" never shows up at the New York Philharmonic. Recordings of the Bruckner Eighth generally don't include backward-masked messages. The Seventh , well that's another story. At just 29 minutes long, Slayer's Reign in Blood is less than half the length of Beethoven's Ninth Symphony. Most orchestral recordings don't have that cool "Parental Advisory: Explicit Lyrics" sticker. Rob Halford (Judas Priest), Geoff Tate (Queensrÿche) and Bruce Dickinson (Iron Maiden) once considered recording together as "The Three Tremors." Herbert von Karajan may have thought he was God, but Lemmy IS God. Image by Derek Riggs © 1985 Iron Maiden Holdings Ltd. If you enjoyed this, check out Ten Reasons Classical Music is Better than Metal over at my other blog, The Hair Whip. 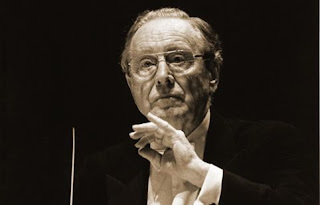 The acclaimed conductor Sir Charles Mackerras has died. He was 84. Of Australian descent, Sir Charles Mackerras was born in Schenectady, New York. He studied oboe, piano and composition in Sydney. In 1948, he arrived in England and became one of the most important conductors on the EMI roster, often substituting in recording sessions for Otto Klemperer when he was ill. He worked with the BBC Orchestra, conducted at Covent Garden and worked with Benjamin Britten. Later in his career, he conducted the Welsh National Opera, elevating that company's reputation with an acclaimed production of Don Giovanni.In recent years, he worked with the BBC Symphony Orchestra, the Hanover Band, the Royal Philharmonic, the Philharmonia Orchestra, and the Scottish Chamber Orchestra. He also conducte in New York, serving three years as Music Director of the Orchestra of St. Luke's and conducting acclaimed Metropoltian Opera performances of Die Zauberflöte, The Makropoulos Case, and Kat'a Kabanova. In 1973, he conducted the opening concert of the Sydney Opera House, featuring soprano Birgit Nilsson. Queen Elizabeth II was in the audience. He became a Commander of the British Empire in 1974 and was knighted in 1979. Sir Charles was one of the leaders of the period instrument movement of the late 20th century. He was a brilliant interpreter of Mozart's operas, and his Die Zauberflöte with the Scottish Chamber Orchestra is one of the finest recordings of that work. His long discography included recordings of those composers, as well as works by Gilbert and Sullivan, Josef Suk, and works by Handel, Donizetti, Dvorak, Martinu, Delius, Walton, Holst and Haydn. His discography also included an award-winning recording of the Dvorak opera Rusalka with the Czech Philharmonic, starring Renée Fleming. His greatest recorded achievement remains his recordings of the operas of Leos Janacek . The cycle for Decca, included Jenufa, Kat'a Kabanova, The Makropoulos Case, The Cunning Little Vixen, and From The House of the Dead. These recordings did much to expose Janacek's operas to audiences outside of the then Czechoslovakia, and are considered definitive readings of those works. He worked right up until his death, and was scheduled to conduct Mozart's opera Idomeneo next month. 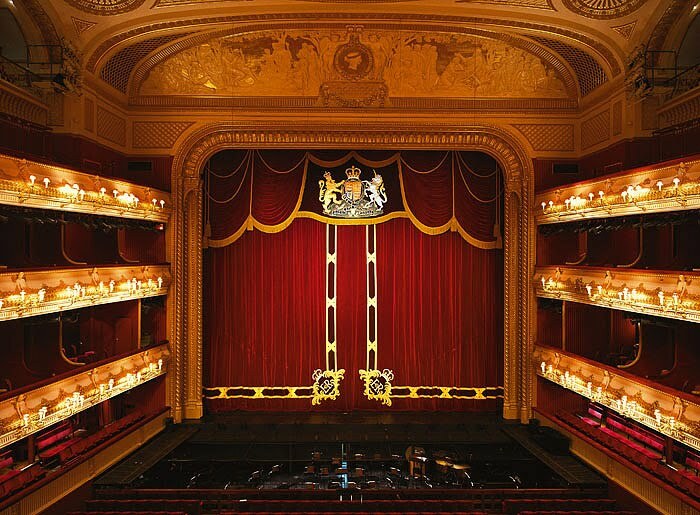 The Royal Opera House of Covent Garden has announced that they will begin showing their operas in movie theaters in North America, according to a report in today's New York Times. The program, similar to the Metropolitan Opera's Live in HD series, will show performances from the Royal Opera House and the Royal Shakespeare Company at select movie theaters. The series is presented in conjunction with Opus Arte, the company that releases ROH performances on DVD. 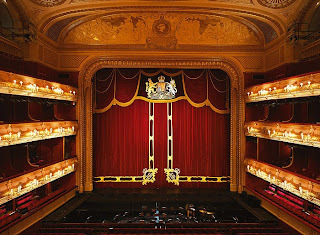 The series opens on September 10th with a broadcast of the ROH's production of Mozart's Cosí fan tutte. Other opera productions and performances on the schedule are still TBA. The mighty symphonies and heart-rending songs of Mahler continue to speak to us 100 years after his death. 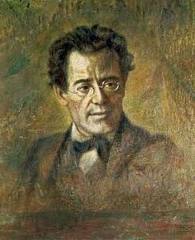 Continuing the celebration of his 150th birthday (which was last week) we look at five works that the budding Mahlerite should start a collection with. As usual, titles link to recording recommendations. 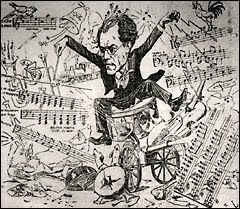 A cartoon depicting the eternal struggle: Mahler vs. Orchestra. On the surface, this is Mahler's most conventional symphony, with its four-movement structure and funeral march. However, one movement ("Blumine" was dropped right before the premiere. The symphony moves from a bucolic opening into a charging, heroic theme. When the hero, a hunter is felled, his funeral is depicted as the animals in the forest carrying his corpse to the theme of "Frere Jacques." The orchestra then lurches into celebratory music that you might hear at a Jewish wedding--or a particularly raucous funeral. The 'big enchilada' among Mahler symphonies. Number Three is a six-movement epic which finds Mahler attempting to depict all the world in 100 minutes, from the mountains bursting out of the earth, to the flowers in the meadow, the beasts in the forest, mankind and the angels above. It's all very Nietzschean and requires a tremendous commitment from orchestra, conductor, and audience. But it's worth it. The Third originally bore the title "My Happy Science" after Nietzsche. A seventh movement ("What the Child Tells Me") was also dropped: it became the finale of Mahler's Fourth. The Sixth is a muscular four-movement symphony depicting the downfall of an unidentified hero. The work starts out with a sturdy march, and moves on through some of the loudest passages Mahler ever wrote. This is the one to leave on in the house when you go out if you don't like your neighbors. In the finale, the hero is felled by a series of great hammer-blows in the percussion. And yes, this effect is achieved with a gigantic wooden mallet, most often hitting a wooden box. Symphony No. 7 "The Song of the Night"
This is deep-end Mahler. Five movements. The first four evoke nocturnal activities and journeys in the dark. A noble theme depicting the fall of evening. A walk through the Austrian countryside at night. A shadowy nightmare. Tender love music with mandolin and guitar. But in the finale, the night music gives way to clattering, brassy daylight as the orchestra roars through a theme borrowed from the more pompous pages of Die Meistersinger. Mahler satirizing Wagner? We can only speculate. A symphony in all but name, the "Song of the Earth" is Mahler's setting of a book of Chinese folk songs. Tragic and contemplative, it is one of Mahler's finest intersections of voice and orchestra. Mahler originally planned to make this his Ninth Symphony, but changed the title in order to beat the "Beethoven Curse" that plagued composers in the 19th century who struggled to write a Tenth Symphony. Mahler then wrote his Ninth proper, but died while working on his Tenth, fulfilling the curse.